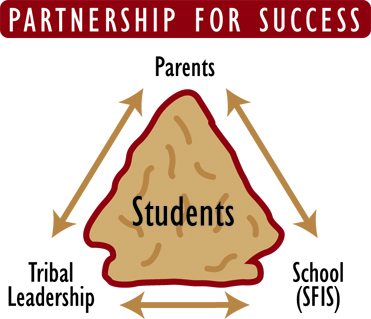 We believe our relationship with parents begins the moment you first consider Santa Fe Indian School and extends beyond your child's graduation. The SFIS experience is one that is shared both by parents and their children therefore it is our goal to keep parents well-informed to stay involved. Parents are a vital part of the SFIS community and are always welcome to attend athletic events, concerts, dances and presentations in addition to many campus events throughout the year.